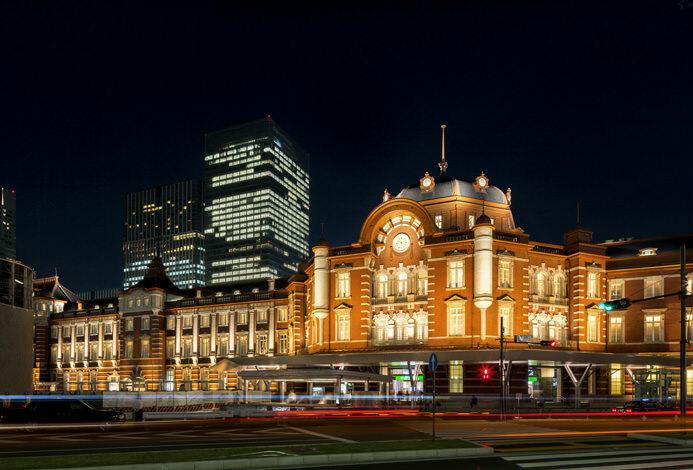 Kinoi-cho, Tokyo where both the traditional aspects of Japan and new cultural aspects exist. 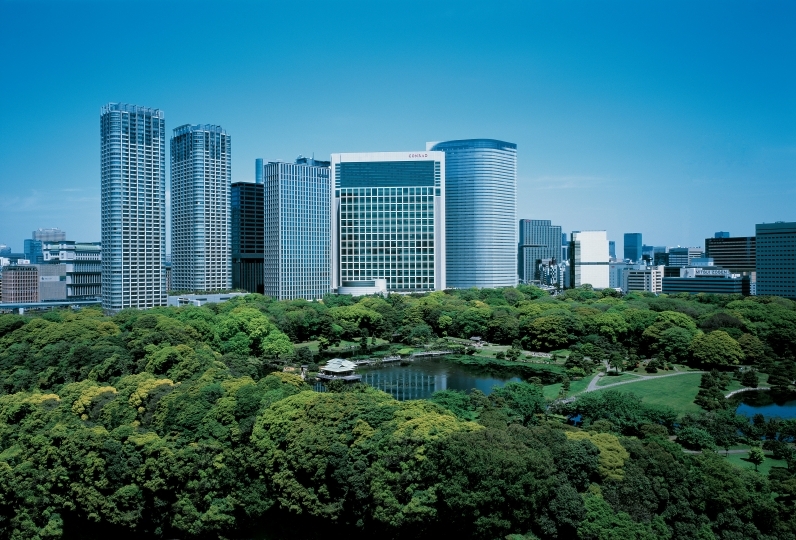 The Prince Gallery Tokyo Kinoicho is located in this place with class. 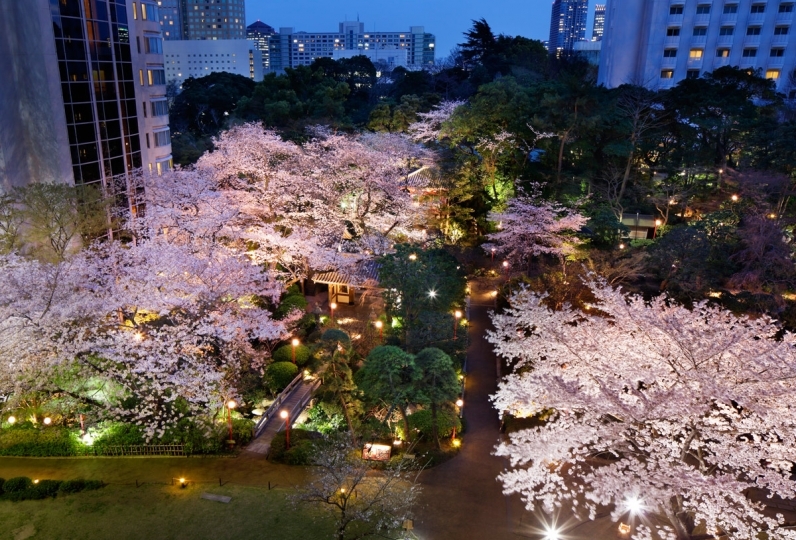 The scenery which can be viewed from 30-36F of Tokyo Garden Terrace Kinoicho is like as if you are looking at a beautiful picture. "WASHOKU SOUTEN" has a bar counter where you can enjoy Japanese Sake in addition to the dining area. You can enjoy the scenery from 180m above ground along with some sophisticated dishes at "OASIS GARDEN". This time I used it for my birthday and memorial day of association. I was able to spend a very good time with the other person at a wonderful hotel that I can feel like staying again from the bottom of my heart. In the club lounge, one person was in charge of a series of flows, and the relaxing time was in a good view. And we could also take a tour of the suite room and it also became a study on the job. (Travel industry) I will tell you that it was a little bit unpleasant. I thought that it would have been nice to have make-up dropping and make-up water etc in the room amenity. Also, when using the lounge bar at bar time, the nuts ordered with alcohol were forgotten, even though the contents were repeated by order. Breakfast was buffet in restaurant, but I went there a little late, so there were few empty dishes and lost things such as drinks. I got the impression that replenishment was not in time, so I wondered if I could notice it a little earlier. However, the atmosphere and service were satisfactory without being limited to the use of the club floor, and there were a few minus points, but I was able to do a wonderful experience beyond that. I'd also like to use it for a memorial! I am indebted with my mother for one night. 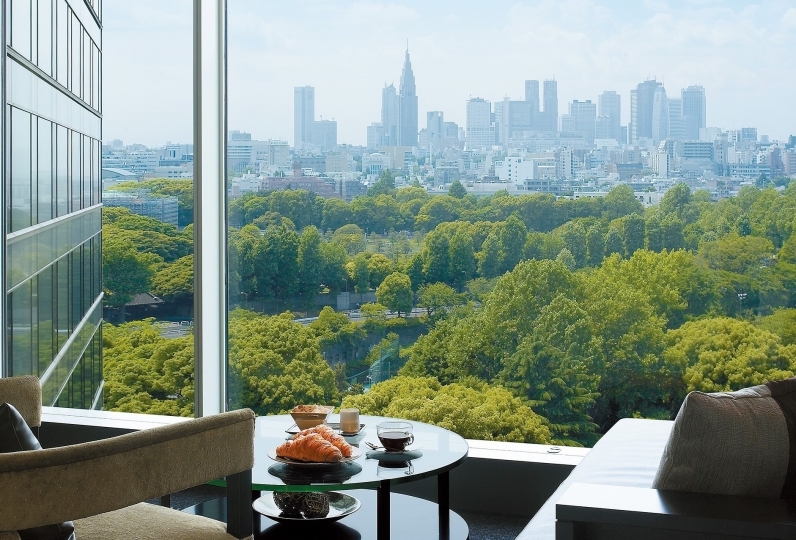 I had stayed at Akasaka Prince only once when I was little and there was a memory that breakfast bread was delicious, this time I chose to stay. The sofa on the window side is comfortable and almost when I relaxed in the room I sat there. Also, because we are not good at cooling, it was nice facility to be able to put in outside air. The room was refreshing because many things were pulled out or put on a shelf, but I could not get used to the environment in which white is in a tone. Breakfast was easy to understand and was rich in variety, so I was able to spend nice time slowly. Finally, part of the door packing in the bathroom of the room was peeling off. Because the bathroom is large, there is no water out there, but in the case of customers who can see the details, I think that they are concerned. Throughout the whole thing, I could spend it slowly. 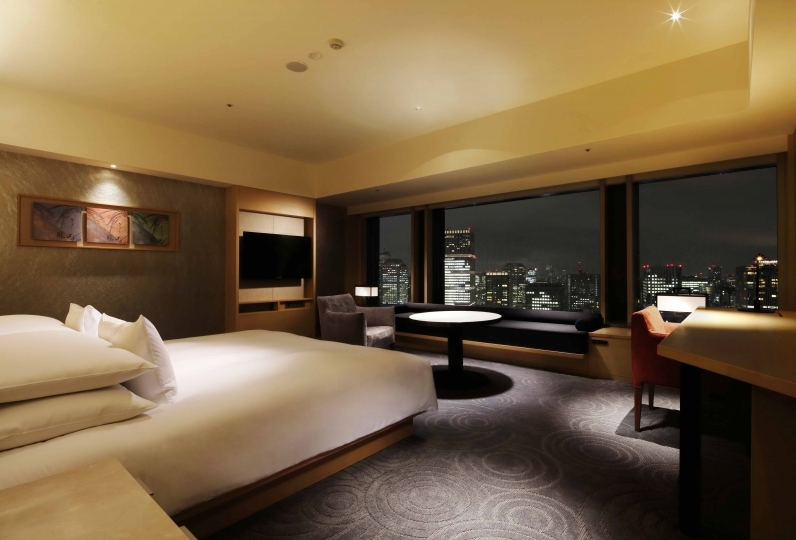 As for the room type, I think that the side where the Imperial Palace is visible is also beautiful including night view, so I would like to make it there next time. Both the facilities and the service were amazing. I thought that it would be good if there was a shoe that could go to breakfast. Main dining that serves Japanese Cuisine. The restaurant has a theme of "Ice concept", a concept made under the image of serving the guests seasonal ingredients at its fresh state. The restaurant is also designed with crystal interior. In addition to the dining area, there is a SAKE Bar where you can enjoy Japanese Sake, a Teppanyaki counter, Sushi counter and  private rooms. Please pick the seat that will fit your style the best. All day dining with Mediterranean Cuisine located 180m above ground. Enjoy the various dishes that were carefully picked out by the chef along with the atmosphere of the open kitchen. The interior of the restaurant is designed under the image of "A garden in the sea" as it is surrounded by green art. Cocktail Lounge bar with a high ceiling with interior designed under the theme "Waterfall". Through humongous glass window, you will be able to enjoy the beautiful scenery of the city that changes every second as if you are looking through a kaleidoscope. Authentic Bar with a very calm and rich ambiance. Perfect for those who would like to have a nice special drink. There are private rooms for those who would like to spend some time privately. Membership fitness gym with indoor pool, spas and treatment room. 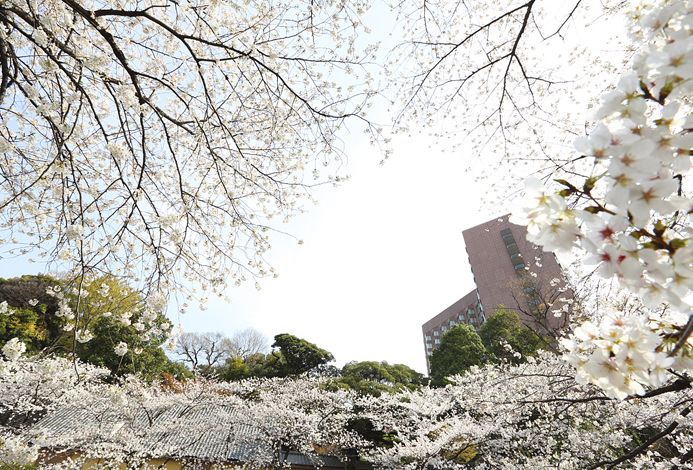 You will be able to enjoy the beautiful scenery that changes every second from 140m above ground. Hotel guests may use the pool, fitness gym, bath and sauna for free. Originated from Montreux, a luxurious resort in Swiss. The treatment of Swiss Perfection has been awarded many times as the best spa in the World, and is also loved by Royal Families and celebrities. Spend a moment of bliss at Swiss Perfection Spa KIOI, along with some original treatments that were created here. ・We will take a print out of your credit card or receive a deposit upon your arrival. 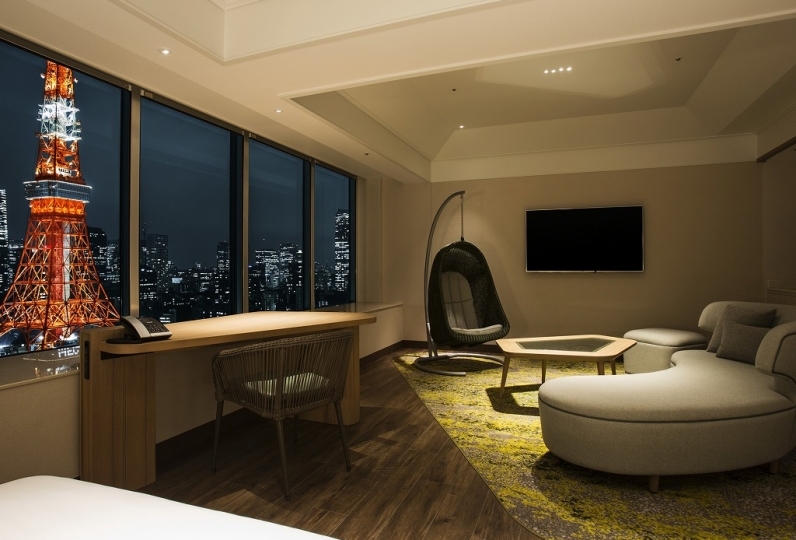 ・Depending on reservation conditions, we may not be able to prepare a guestroom with a view. ・There is an age limit for spa & fitness uses. 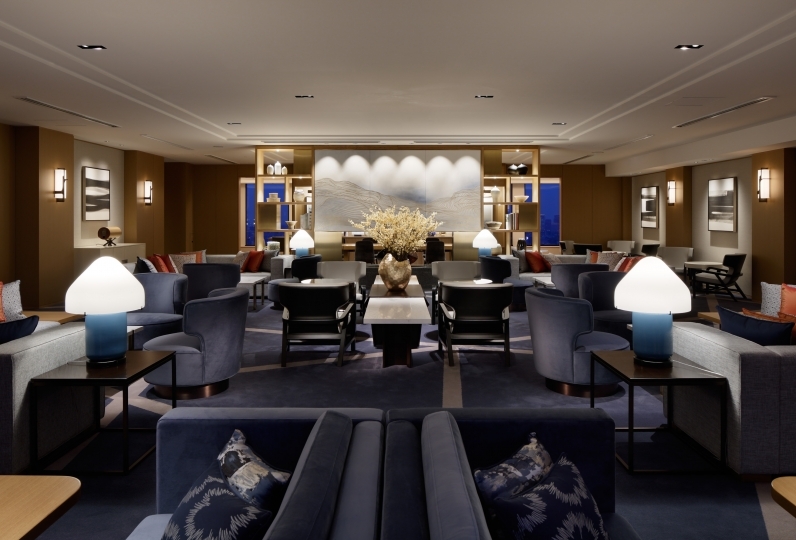 ・Children under 12 may only access the club lounge until tea time.